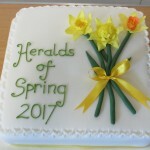 The much-loved National Lottery funded Heralds of Spring project, celebrating and recording local varieties of daffodils in the Tamar Valley landscape, held its conference earlier this month, where results from the spring survey were revealed. 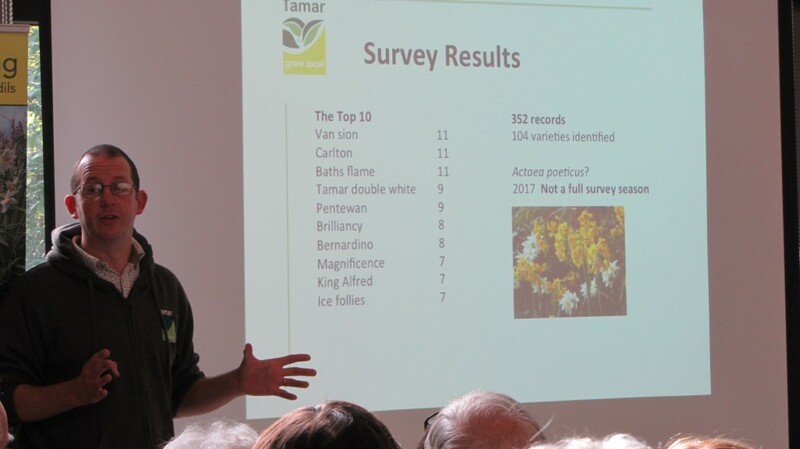 With standing room only, the conference was packed with volunteers who had taken part in the survey earlier in the year, local daffodil growers & experts and those who share an interest in the market gardening industry of the Tamar Valley. All were eager to find out what had been discovered throughout the Valley last Spring. 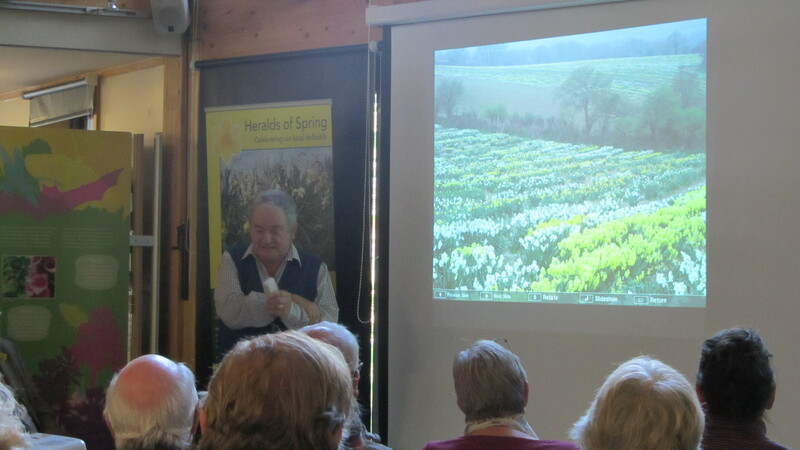 Guest speakers included Gwynne Davies (RHS Daffodil Committee), John Lanyon (former Head Gardener at Cotehele, now at Trelissick Gardens) and Ron Scamp (Cornish daffodil grower & breeder), who all inspired the captivated audience. Tamar Grow Local’s Simon Platten said, “In the room, we had the collective knowledge of daffodils in the South West and beyond”. 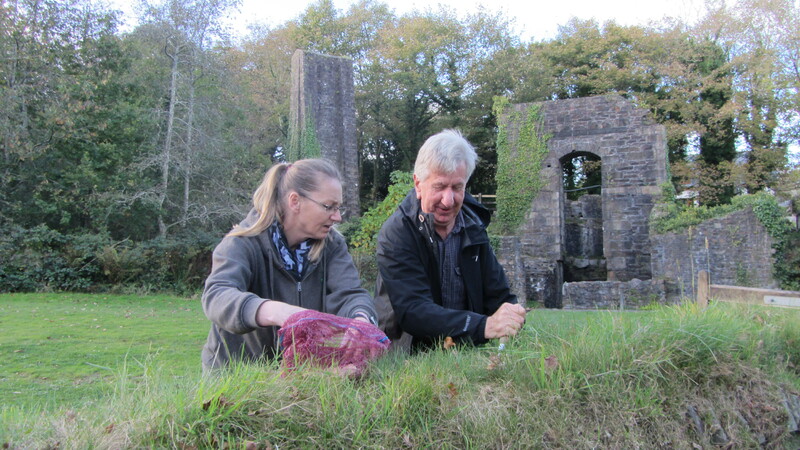 The collection of new history recordings was heard for the first time at the Conference and will subsequently be available on the Tamar Valley AONB website. 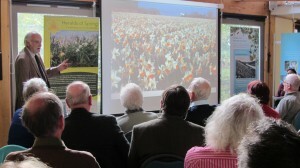 It was revealed that 21 volunteers had headed out into the Valley during the spring, completing 359 surveys in total. The results of these have provided some excellent data, with over 100 varieties identified so far. 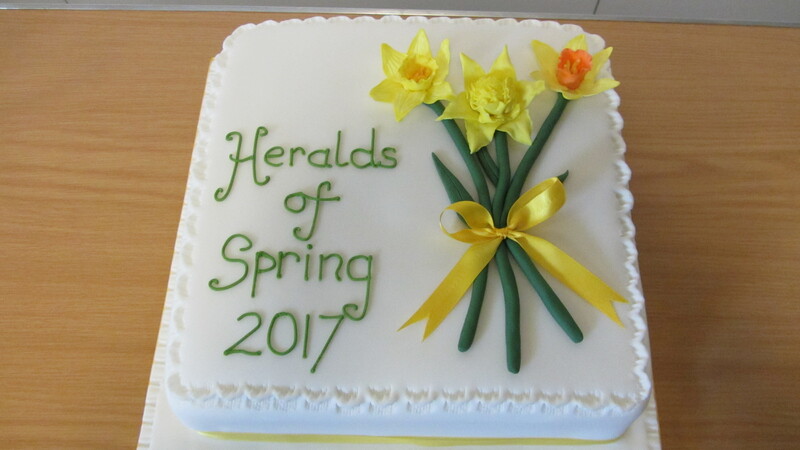 To date, the project has helped increase knowledge of the historic daffodil varieties and identify key locations, as well as spreading awareness of this very special collection that is so much a part of the Tamar Valley landscape in spring. Lesley Strong, Tamar Valley AONB, says, “We are looking forward to recording into the 2018 flowering season. The exciting thing is that we may find some varieties that have never been formally named or classified – real Tamar Valley specialities”. The conference ended with a chance to buy local daffodil bulbs for the next season, and bulb planting around the Tamar Valley Centre.